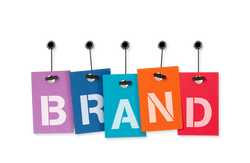 MagnifyAds understands and respects the value of a brand. We know that without a solid brand, your marketing – digital or otherwise – will struggle to build the rewarding long-term relationships with users or the ROI that you require. In our capacity as your Digital Agency, we can work with your existing online branding or help you to build a new brand from the ground up that will further your communication objectives. In either instance, we make sure your organization is represented accurately online so that the essence of your service and overall company stature is represented so that all of your digital assets reflect 'who you are' and 'what you do'. Our digital strategy, creative design, and marketing expertise means that not only will your online branding be representative of your organization's core brand credentials and look visually powerful, but it will also contribute to your long-term business objectives and return on investment. MagnifyAds has worked with companies across the globe to differentiate themselves from the competition. Standing out from the crowd is never a bad thing, especially when it is done right. We have developed hundreds of brands that stick in people's minds. After all, a good brand can mean the difference between epic success and epic failure and we know how to create the brand success that will make your company experience a truly epic achievement. All companies, large and small, require a strong Logo to implement the essence of their brand. MagnifyAds specializes in capturing your company's vision and translating that into a Logo that will establish your brand from the rest. You're not a success unless you stand out from the rest. MagnifyAds is an industry master of creating slogans that capture audiences, peeking their interest as your slogan brands itself in their decision making process. Logo Creation - We develop multiple logos at your direction for you to choose from. Slogan Development - Your Slogan represents the heart of your objective. Viral Social Media Branding - Solidify your brand on Facebook and Twitter.